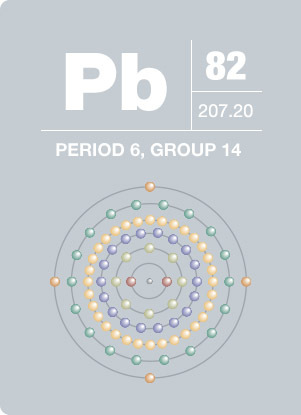 Native oxide referenced to Pb metal. All others charge referenced to adventitious C1s peak at 284.8eV. Pb4f region has well separated spin-orbit components (Δmetal=4.87eV). 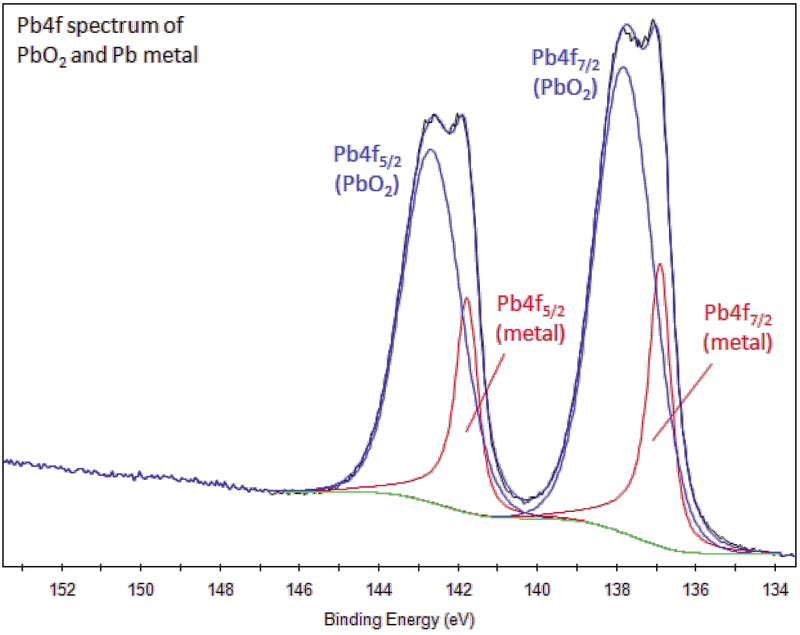 Peaks in the Pb4f region have an asymmetric peak shape for lead metal. 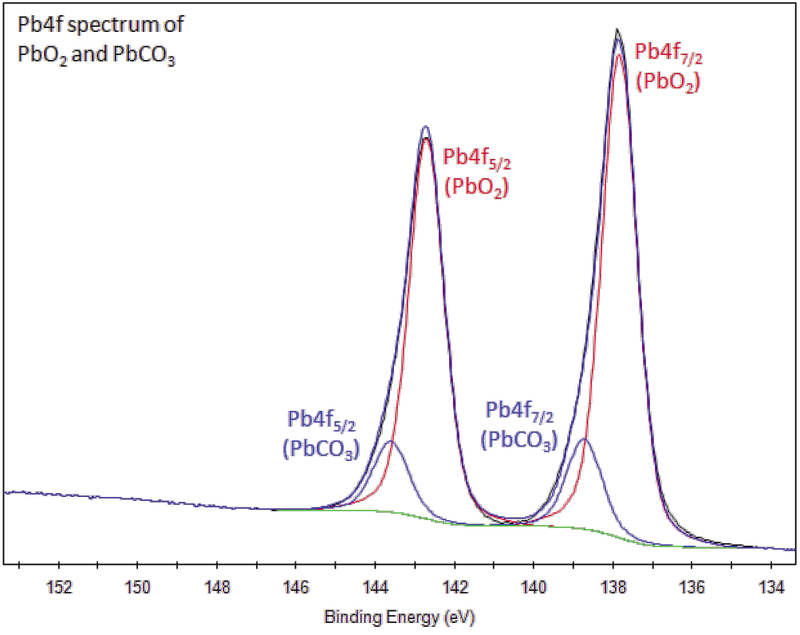 Analysis of the O1s region for air-exposed Pb metal indicates the native oxide has a high concentration of hydroxide. PbO2 may have a small amount of PbCO3 formed on surface through reaction with CO2 in the atmosphere. This blue-white metal is soft and malleable. A poor conductor of electricity, lead is resistant to corrosion and very dense. Lead derives its symbol Pb from the Latin word plumbum, meaning “liquid silver.” Prolonged exposure to lead causes neurological damage as well as renal disease, cardiovascular effects, and reproductive toxicity. Although the harmful effects of lead have been recognized as early as 2000 BC, it has been used throughout history for plumbing and ammunition. Recently, lead has been used in storage batteries, paints, petrol, and sound absorbance materials, although these uses are being phased out due to health and environmental effects.